Building an inclusive workplace, open to individuals of all identities and abilities, is one of many initiatives of the SAP Diversity & Inclusion (D&I) Office. When we foster a safe environment where employees can thrive, we not only drive SAP’s vision to help the world run better, but we #RunProuder as a company as well. Pride@SAP Canada was founded as a grassroots movement to unite LGBTQ+ and ally employees around championing equality. Rachel Ho has been at the forefront of the Pride initiative since day one. Outside her day job as a Product Marketing Manager for Analytics and BI, Rachel is the Lead of Pride@SAP Canada. 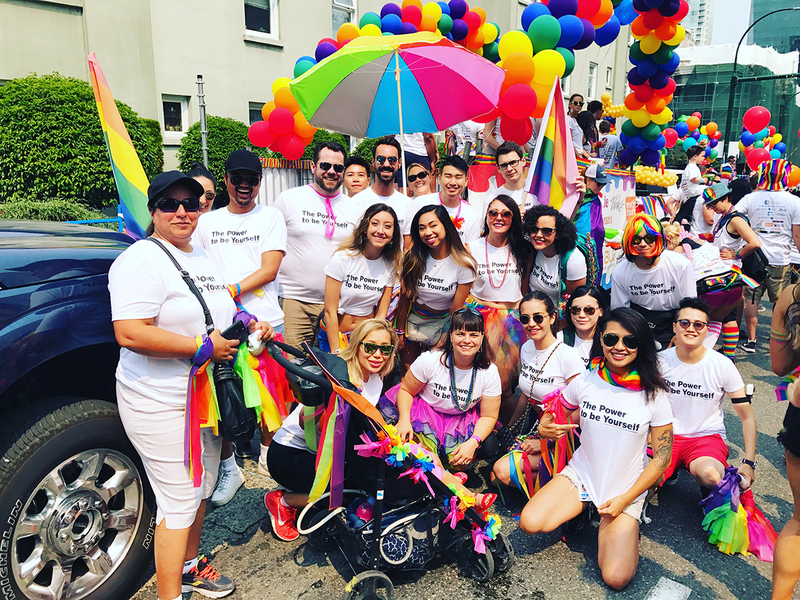 From her post in Vancouver, Rachel executes her role by collaborating with local chapters across SAP campuses across Canada to drive LGBTQ+ inclusive initiatives. 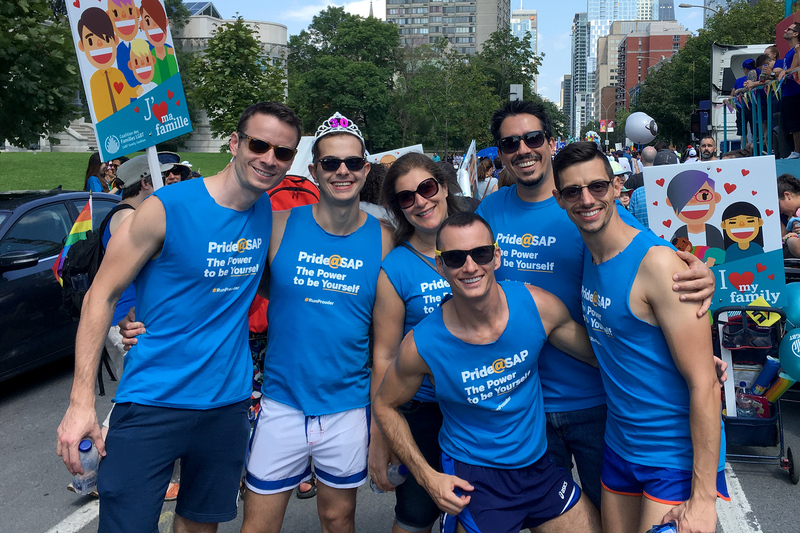 Since its conception in May 2016, Pride@SAP Canada has grown to 110 individuals, with three local teams based in Vancouver, Toronto, and Montreal, made up of persons of all sexual orientations and gender expressions. Pride@SAP Canada has marched in a total of 4 Pride Parades since, including Canada Pride in Montreal this year to celebrate Canada 150. Employees from both their Labs locations marched alongside 7,000 people from 190 different groups – including Canadian Prime Minister, Justin Trudeau, and Ireland’s openly-gay Prime Minister, Leo Varadkar. Fun fact: This also marks the first time a foreign head of government has joined our country’s prime minister in a Canadian Pride celebration! SAP’s participation signifies to the world that we have raised our hands as leaders who recognize and champion the power of diversity on a global level. One of the first events to launch the Canada-wide initiative was Rachel’s participation at the Out & Equal Workplace Summit in 2016 alongside Global Pride leads from SAP. The annual event brings together 4,000 allies and leaders from Fortune 1,000 companies to share best practices and strategies for diversity and inclusion. She left the Summit “buzzing with inspiration, as progress for [LGBTQ+] rights would not be possible without those who [align themselves as allies outside the acronym],” and felt similarly after representing SAP at the Lesbians Who Tech Summit as a 4th year sponsor. 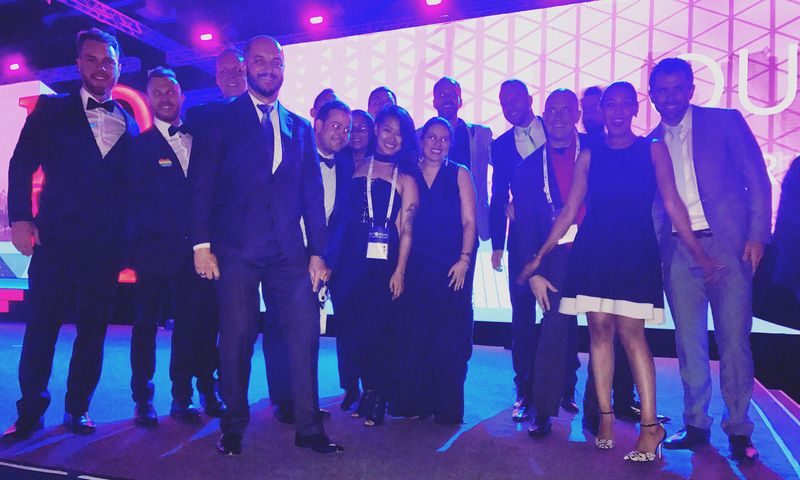 The Out & Equal Summit this year had a much larger team, with 23 SAP colleagues representing 13 countries. While SAP stands out as a global leader in workplace diversity, including LGBTQ+ employees, learnings are best utilized when communicated between all industries, organizations and people. The on-going partnership with O&E includes Pride@SAP’s case study webinar on how to establish successful global networks – view the recording here. “Today, almost 10% of SAP’s worldwide internal workforce are members of Pride@SAP. I’m emboldened, encouraged and inspired by our progress and the examples we can set as Canadians,” says Rachel. Pride@SAP Canada continues to grow today, thanks to local co-leads Laura Jamieson, Francois-Yanick Bourassa and Helen Oakey. Within a year’s time, Pride@SAP Canada has accomplished many feats, and the journey is just beginning. The road to equality continues, and you can be sure that Rachel and Pride@SAP Canada will be there empowering allies and LGBTQ+ employees for years to come. In order to continue elevating innovation driven by diverse and inclusive values, and we need leaders who champion and embody this every day. Connect with Rachel on LinkedIn to learn more on bringing this to your team and organization to #RunProuder together. Next SAP Mentors in SAP TechEd Barcelona!